Hey there! Thanks for visiting! We’d LOVE for you to hang around. Like us on facebook, subscribe by email, or follow us on pinterest to be sure you don’t miss an update! Poor Indiana. It’s a state that often gets made fun of or overlooked. If you’re not from the Midwest, do you even remember where Indiana is? What do you think of those of us who live here? Do you imagine we’re all a bunch of country farmers and hicks? Of course, my dad really is a farmer, but I’d like to think there’s more to Indiana than our fields. Indianapolis is the twelfth largest U.S. city! We have the Colts, the Indy 500, French Lick, and Holiday World (which Family Fun magazine recently said was second only to Disney when it comes to theme parks). Wanna know what else we have? Museums. 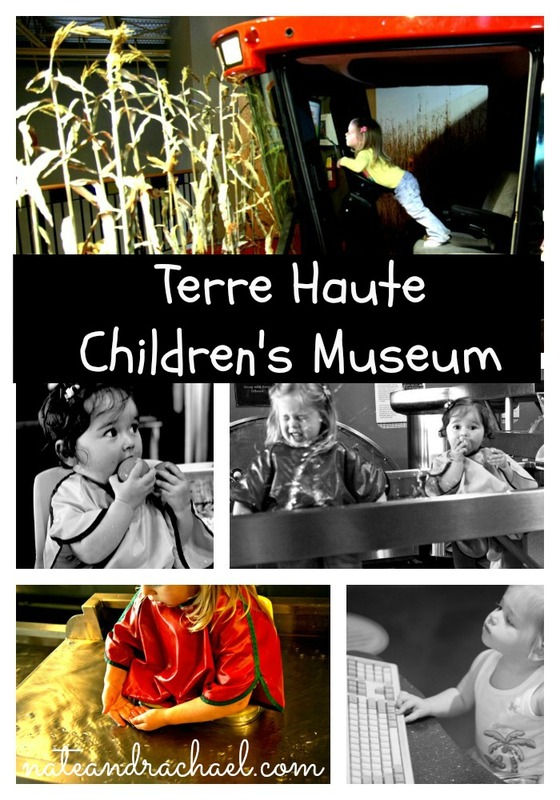 Beautiful, fun, hands-on, children’s museums. Let me introduce you to three of my favorites. This three-story museum is packed with fun things for kids of all ages. If you have bigger kids, they’ll love the giant tree house A quick climb up the tree will take you all the way from the first to the third floor. If you stop at the second floor, you can slide your way back to the bottom. Nearby, you’ll find a veterinary clinic (great for open-ended pretend play), a dinosaur dig, and various musical instruments to explore. On the second floor, there’s an enclosed area just for kids under four, which is great for my toddler and baby. Toddlers can garden, cook, and climb without getting trampled by big kids. Babies can crawl and roll in a cleaner stretch of floor space–no shoes allowed in the toddler zone! Outside the toddler zone, there’s a fantastic water play station where even babies can get in on the water fun! And, since this is southern Indiana, there’s also a cow to milk, tractor to ride, and soybeans to investigate. The third floor has recently been remodeled to include an aviation/aerodynamics exhibit, live creepy crawly insects and reptiles, and a news station. The news and weather exhibit is great for if and when you plan to take a trip to a REAL news station. You can read all about our news station field trip and see a clip of our future meteorologist giving a weather forecast here. A few years ago, Nate had work to do in Muncie. So he invited his little family to tag along on this short work trip. What are a mom and tot to do while Daddy works? Visit the museum of course! Our daughter had just turned one, and she loved the giant legos, outdoor play area, the musical instruments, and the chance to drive a semi truck. 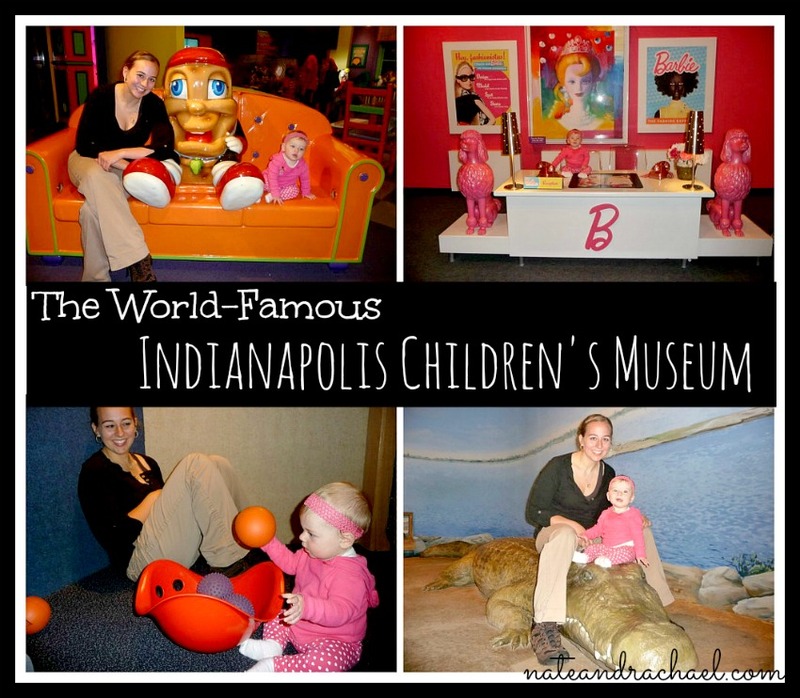 No mention of Indiana museums would be complete without highlighting the Indianapolis Children’s Museum. 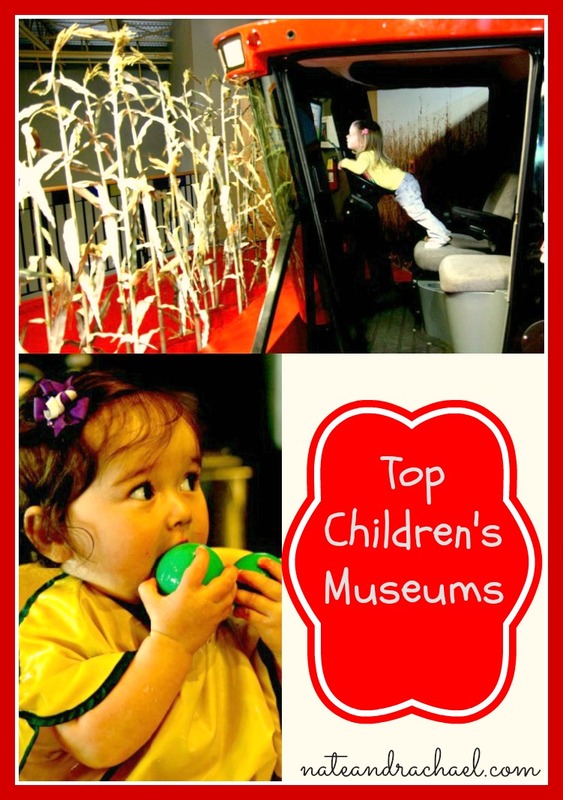 In fact, it’s often called the best children’s museum in the United States! Fossils, a life-size t-rex, and real paleontologists to answer questions are features that are sure to excite your dinosaur-loving kiddo. Little engineers love the “All Aboard!” exhibit. You can go on a simulated train ride and see a very large (and very loud) steam engine come to life. Visit the “Take Me There: Egypt” exhibit to get a taste of what life is like in another country and culture. Girly girls will want to spend some time in the oh-so-pink Barbie room. And, of course, our family loves the spacious preschool and baby area. In there, you’ll find a construction area, slide, gigantic sandbox, and water table. Should you visit during a holiday, be sure to check online before you go to see if you will be lucky enough to visit during one of the museum’s free days! The benefit is obviously considerable cost savings; however, expect to battle the crowds. One of the best things about the Terre Haute and Muncie museums is that they both participate in the nationawide ASTC passport program. This program allows you FREE admission to reciprocal science centers all over the country and world. If you’re using it in Indiana, you can also visit the Indiana State Museum in Indianapolis or the Wonderlab in Bloomington. We hear the Wonderlab is awesome, too! Not heading to Indiana anytime soon? My friend at Fantastic Fun and Learning has a great post and link party filled with online museum-related resources, crafts for kids, and more museum reviews. Check it out! 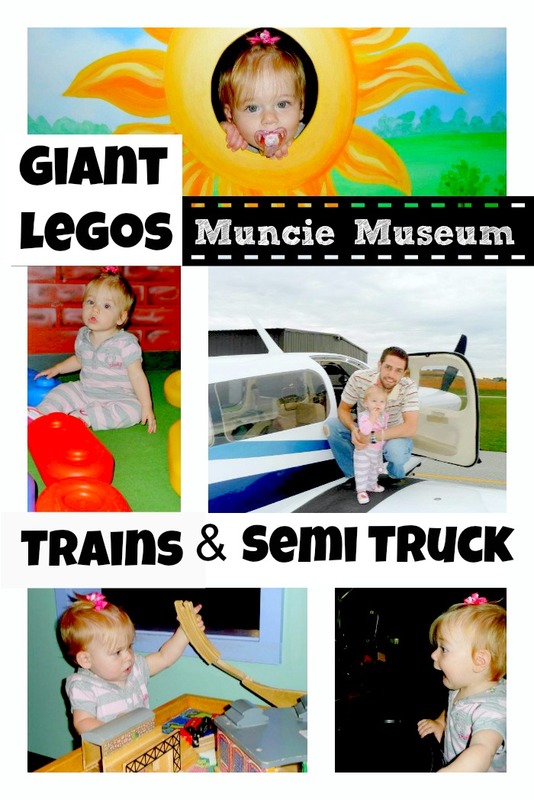 We loved the Indianapolis Children’s Museum! I’m so excited to work the other two into one of our future road trips. And our current museum passes are part of the ASTC program…so yay for free museum visits!! Thanks so much for including a link to our museum resources and linky.